It's just staring into the distance, pensively. I'm not sure if that image evokes intimidation or just deep thought. Carolina's owner is getting sued for 105 million dollars by his own children for blowing their trust funds on team expenses. I admittedly haven't been paying much attention to the business side of the league recently but there's been murmurs of relocation surrounding the team since the end of the regular season. This can't be helping things at all. It's bad...could hold up expansion. Haha nice one. It does kinda look like the cat is in contemplation mode. If the SCF final keeps drawing ratings below those of Sponge Bob reruns, this league is going to be in deep trouble in a few years when it is time to renew TV contracts. Thank goodness Pitt got in and not TB or the ratings would be worse than they already are. They call that look "The Trocheck"
As @Real_ESPNLeBrun just reported on Insider Trading, Lucic very open to signing in EDM if things don't work out in LA, and deal is right. Hahahaha! I say, go for it Looch! Ratings might be different if the games were on the major network instead of NBCSN which not everyone gets! It's ridiculous the extra money I have to pay to watch less than a handful of Ducks' games and the playoffs. The NHL may make more in some way, but they definitely lose viewership. I think they would expand the fan base if their were more people who could watch the playoffs. Totally agree! Everytime I tell someone to watch the playoffs I always get the same response, "I don't get that channel" or I didn't know MSNBC showed hockey"! DUH! Game 1 was on NBC and still got crappy ratings. That game went up against game 7 of the NBA WCF which received a 13.5 compared to the SCF 2.5. It just seems like when NHL teams respective fan bases are not in the playoffs or are knocked out of the playoffs, they just stop watching/caring. My solution is to go frequent local bars and breweries that are more than willing to use their satellite packages to keep me there. So far, I think I'm still ahead of what it would cost to get those channels I only watch for the sake of hockey. The fact that so many of the playoff games from round one on were not broadcast on NBC was a joke. NBCSN? No one's heard of it. Exactly. Have you ever gone to a bar and asked them to put on NBCSN and they DIDN'T ask what channel that is? Not that I can recollect. Same goes for NHL Network. Really wanted to watch the Women's World Championship, went out and had to steer a big screen away from the NCAA final. I believe I had to tell them it was somewhere between 215 and 225 on the satellite. You can thank the popularity (or lack of) of the NHL for that. NBCSN was created with the thinking that the NHL was going to be their pathway to ratings. I guess it's better than when the NHL was broadcast by the "Outdoor Life Network" where hockey games which ran long, were in danger of being preempted by Moose Hunting or Bicycle Racing. You think NBCSN was hard to find, you should have seen some of the looks I got from barkeeps when I used to ask em to switch on the Outdoor Life Network so I could watch the Rangers-Flyers playoff game. They'd be like......"the outdoor what network?" Or that time DirecTV dropped Versus. I work late a lot-not exactly a morning person-so often I'll listen to the radio feed at work, cutting the booze bill a bit. But it does help that I save my money for things I really like, such as hockey, and alcohol. And...Central Coast Brewing does Sunday Funday, so $4-$5 pints all day long. A mix of old and new. 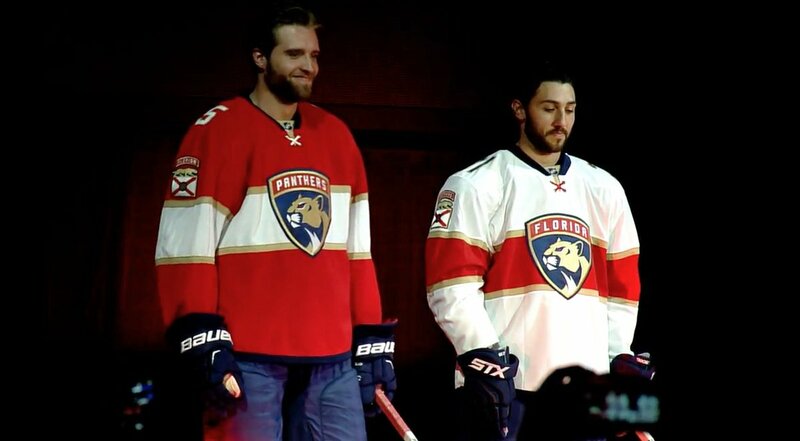 I like it although I kinda wish the road uniforms had blue shoulders again. 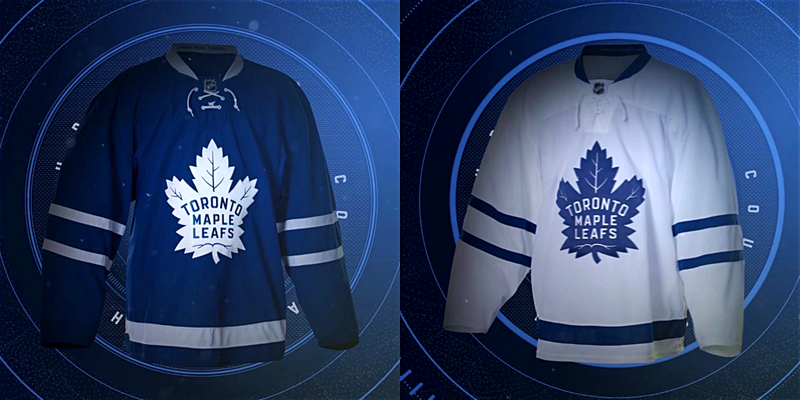 It's not a big deal though, it's real tough to mess up a Maple Leafs sweater. Pittsburgh is also switching their road uniforms to match the Lemieux era throwbacks they wore throughout the playoffs. No idea why they ever changed from those to begin with.